At Robinsons UK we can cater for all of your Solid Fuel training . Robinsons UK are proud to be able to offer a range of accredited HETAS Training Courses at our Devon base in Tiverton (within Rotary Power Sweeping Facility). 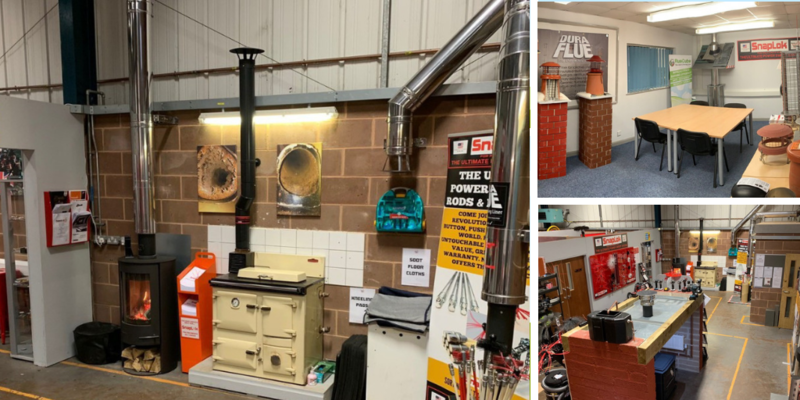 As well we offer training at Bishops Frome, Worcestershire and Elland, Leeds and train HETAS at our partner centres around the UK (Schiedel – Washington and the Solid Fuel Centre – Glasgow). Our friendly staff are on hand at anytime you need advice and guidance on which pathway to take. All courses include certification and course materials. Alternative/unlisted courses and dates may be available on request – please get in touch. Our HETAS centre is in the beautiful County of Devon so if you are travelling to the area it’s well worth exploring. From the Jurassic Coastline to its Moors and many fishing towns, we are lucky to be able to have these geographical landmarks on our doorsteps. The area offers a good range of accommodation which we can provide you with.